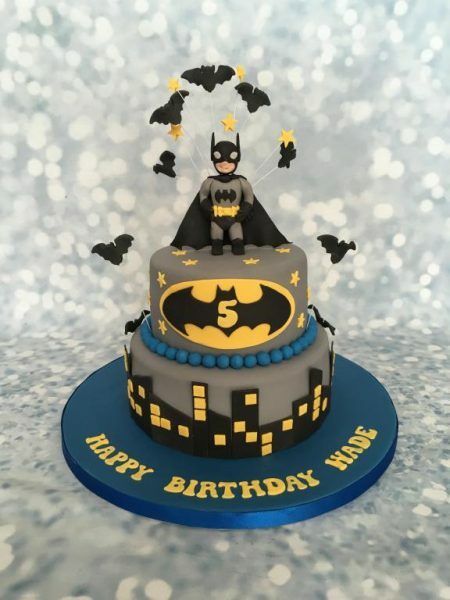 A great cake for any Batman fans. 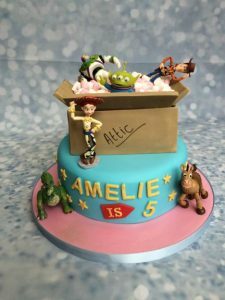 A ‘Marvel’ of a cake with a handmade Batman figure with a burst of stars and bats which make this a real treat. 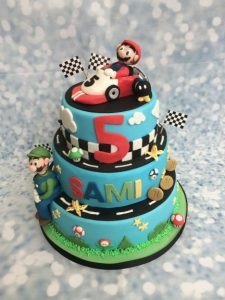 This is a 6″ & 8″ round with a large Batman sign on top showing the birthday boys age and Gotham City buildings circling the bottom tier. 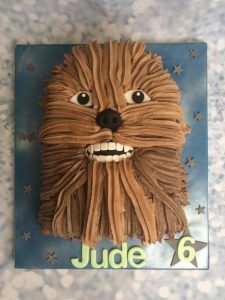 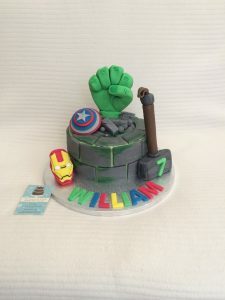 A cake that your superhero is sure to love.